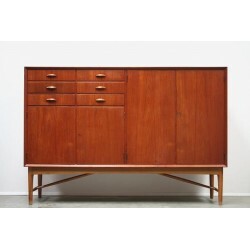 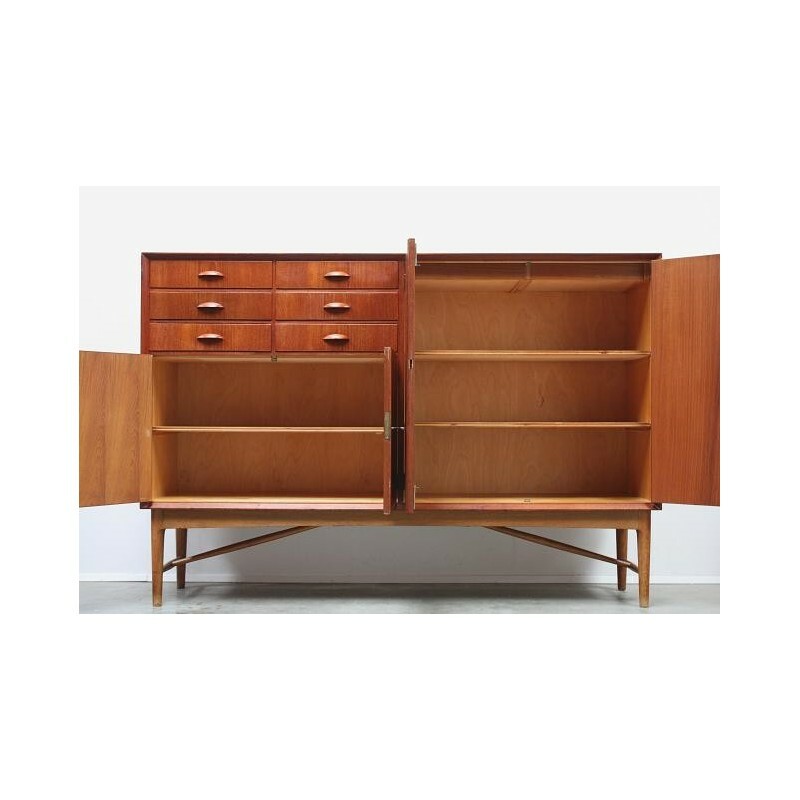 Beautiful sideboard designed in the 1960's in Scandinavia. 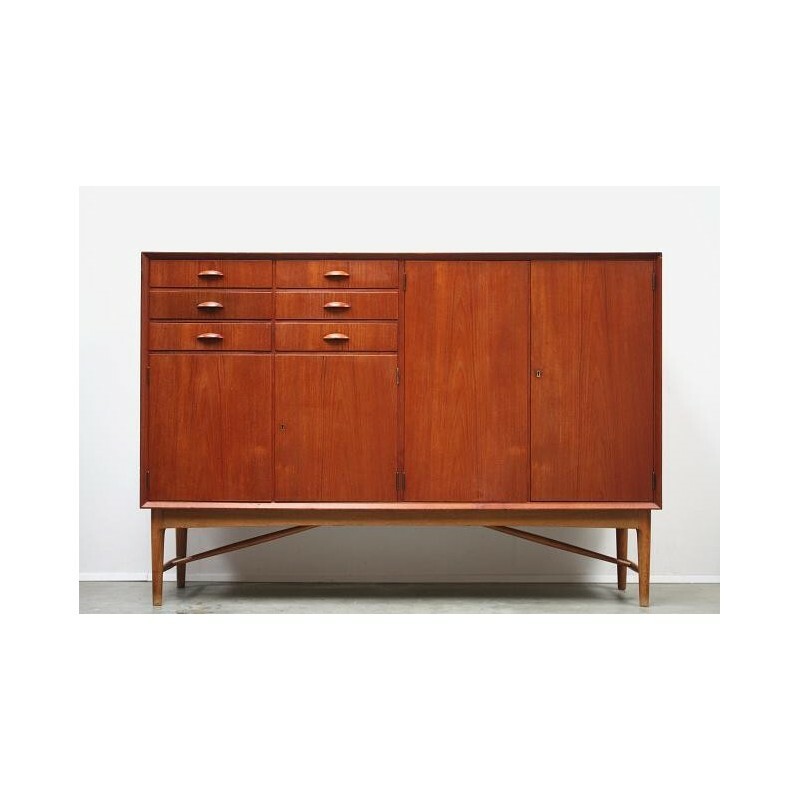 The sideboard has a lot of storage place, there are 6 small drawers and behind the doors are shelves, also the key's are present. 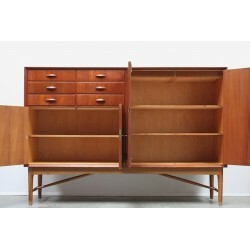 The sideboard is in a good condition ( see detailed picture's). The dimension is 172,5 cm L/ 44 cm W/ 118 cm H.